Immediate Past-President David Pendlebury has found a new job as a magazine centrefold model! Thankfully he was fully clothed – it was a freezing cold day as those members there at Porth Saint will recall. Dave Simmonite was also there and took the photographs illustrating the article. 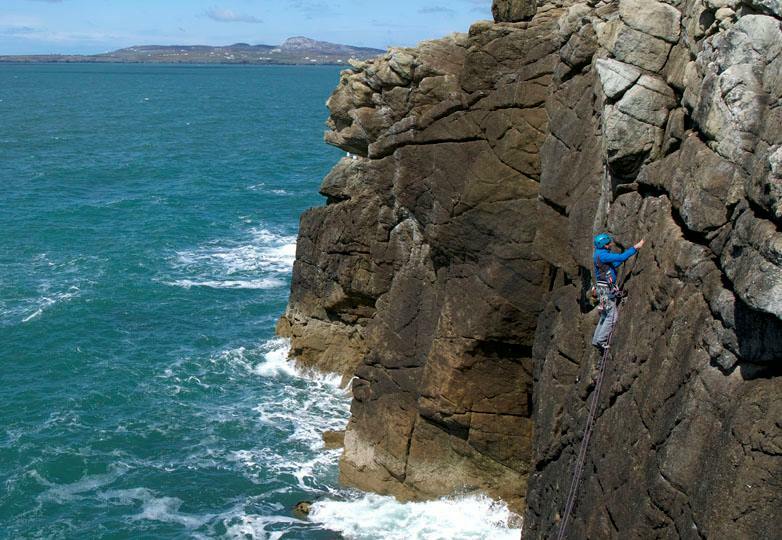 The Club meet for the Spring Public Holiday weekend 2016 was to the Rhoscolyn area of Anglesey and various crags were climbed on including Porth Saint. The weather was mixed but very cold with significant snow on the Snowdonia mountains so we climbed, walked and cycled with a BBQ one night and a meal in the excellent ‘White Eagle’ another.